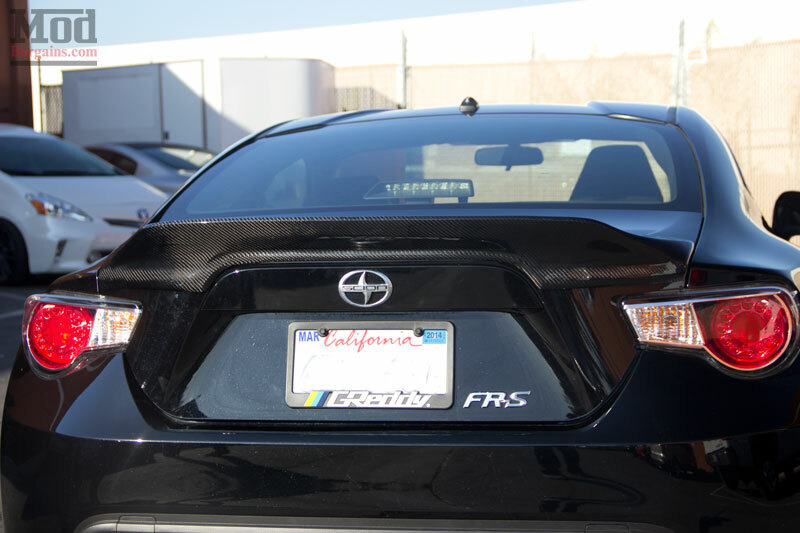 The FR-S Duck Bill Style Trunk Spoiler, along with other FR-S/BR-Z exterior parts, is one of our newest additions to the FR-S/BRZ line. We have had lots of customers come to ModBargains.com about getting mods for the ZN6/ZC6 Chassis, and we are hoping this is moving in the right direction. 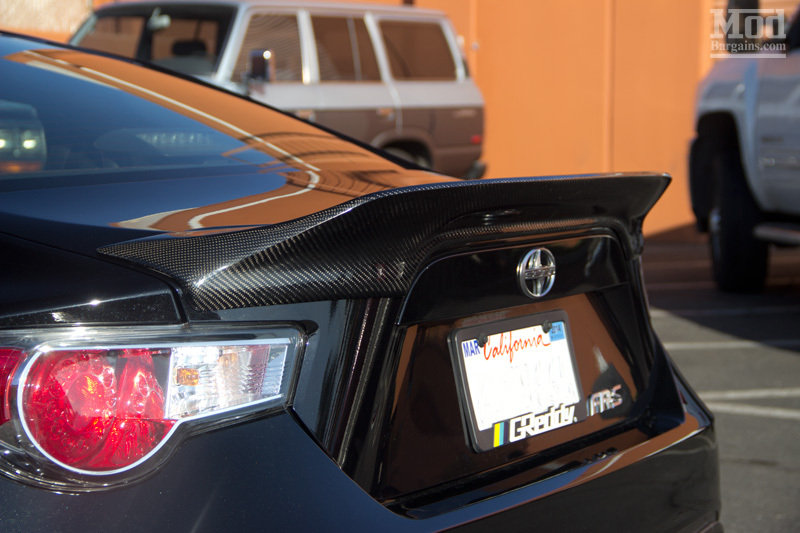 This Duck Bill Trunk Spoiler is a great way to add some style to your FR-S/BRZ without breaking the bank or going overboard with a widebody kit (if you’re not into that, but trust me, we are). 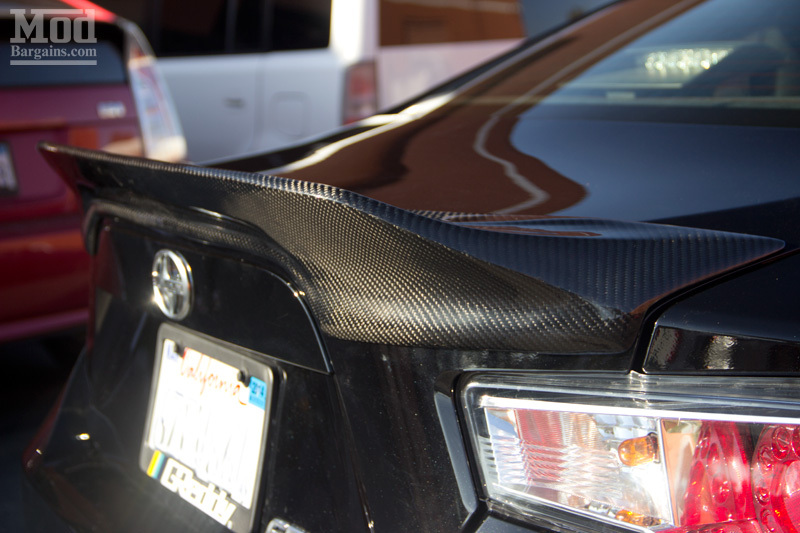 With a choice between Carbon Fiber or FRP material, you can truly add some of your own flair to your car. Installation is fairly simple through the use of 3M tape, but we do recommend that you have a professional install this part. Carbon Fiber and FRP parts are some of the most touchy parts to install, making “perfect” fitment difficult to come by. But if you (or whoever installs it) get it right , the results are undeniable. Just take a look at these install shots. 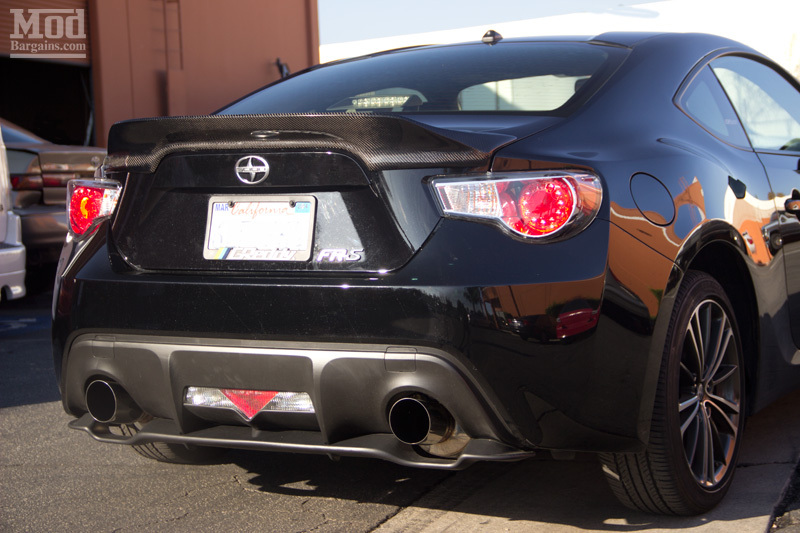 The changes are subtle, yet effective, giving this Scion FR-S a much needed aggressiveness boost. As car enthusiasts, we sometimes forget that its the little details that really count, and this Duck Bill Style Trunk Spoiler is one of those little details. 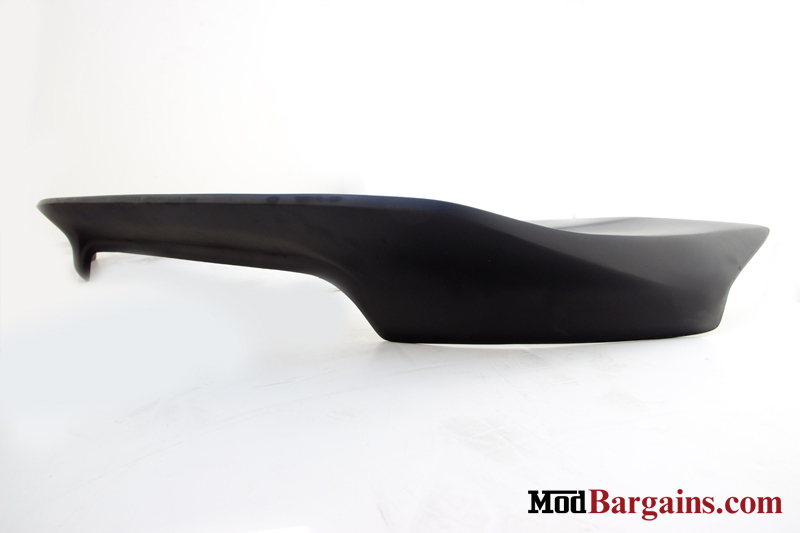 If you’re interested in this part specifically, be sure to check it out here, and if you are looking for more mods then check out the FR-S parts we carry. And don’t worry BRZ owners, we have you covered too! Thanks for reading, and a big thanks to Jeremy for bringing in his FR-S and letting us take some pics. Looks great, and happy modding! ModBargains’ SoCal Euro 2013 Photo Gallery Now Online! Customer Spotlight: Melbourne Red E92 M3 – Adrian C.